To help you fill your basket when the products launch, here are the must-have base products that you need in your life. 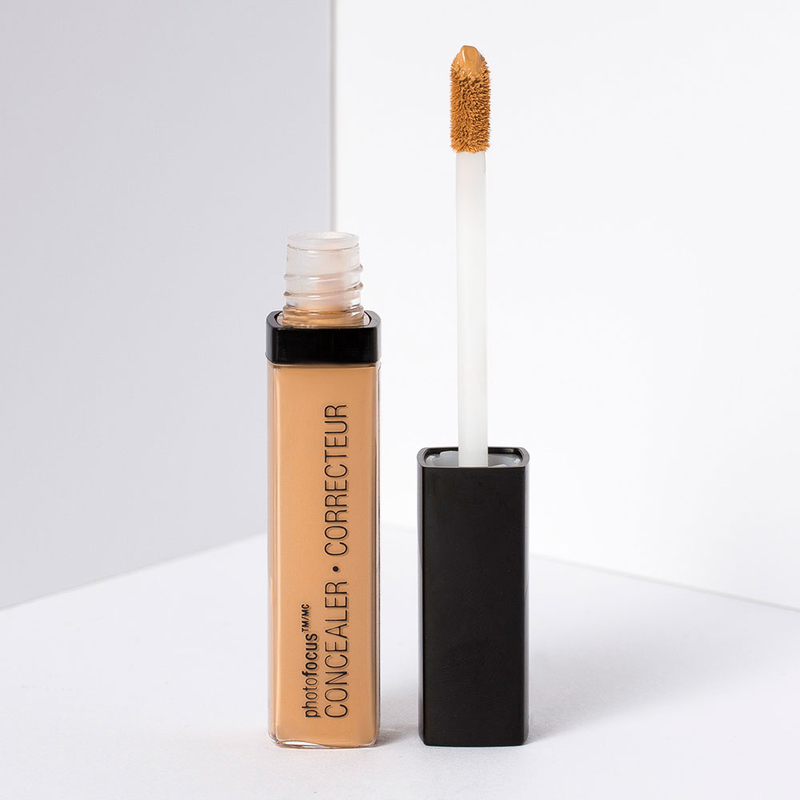 This creamy concealer won’t pull on or cling to dry skin, or sit in your lines, but what it will do is blend super easily into your skin to mask everything from breakouts to dark circles. Like Photoshop in a tube, it makes light work of all concealing requirements. A foundation that has medium-buildable coverage but looks just like your skin (but better)? True to its name this has a soft-matte finish that makes skin look flawless (even in photos). What’s more, it can be enjoyed by both dry and oily skin types for a fresh, long-lasting finish. If you struggle with shine, this primer will tick your box. 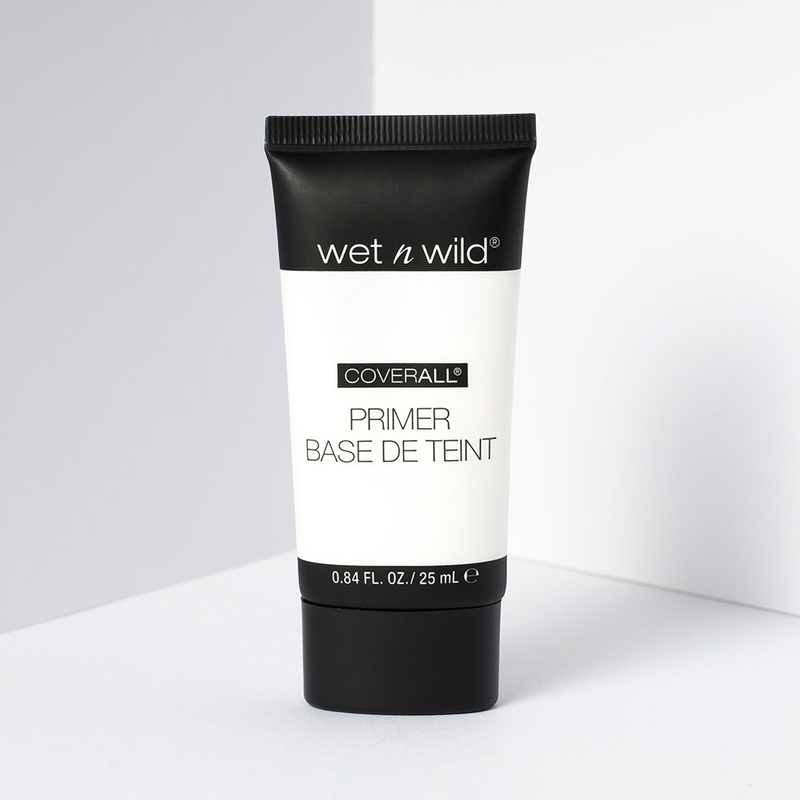 It also ticks every other box you could possibly want a primer to tick – it blurs over pores, fills lines, evens out discolouration, and prevents foundation from caking. Magic. 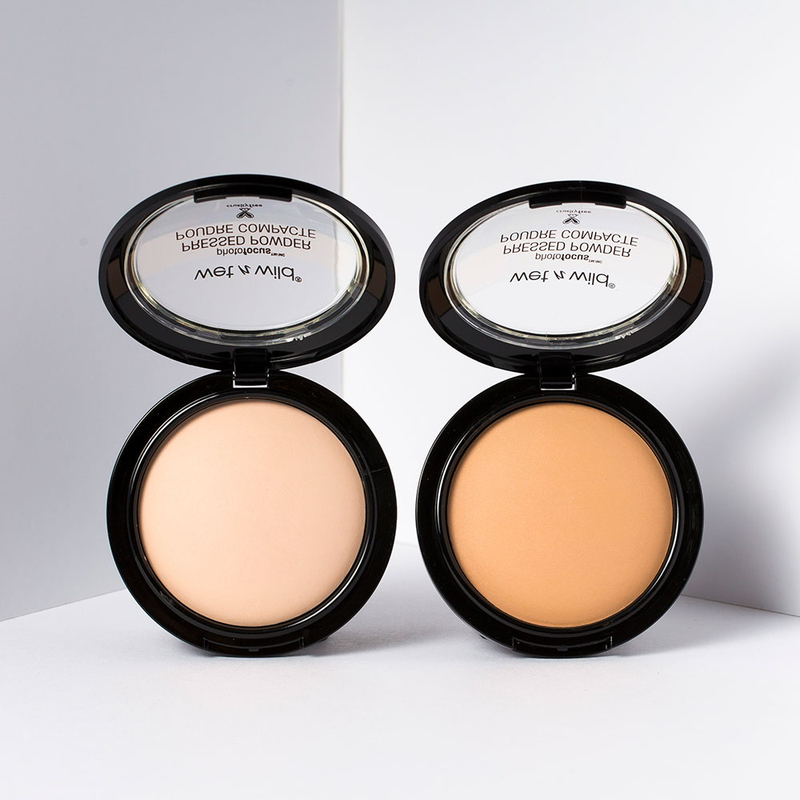 Beat the dreaded 3pm shine with a quick dusting of this subtly tinted powder. Rather than giving skin a cakey finish, it contains light-diffusing pigments to give it a healthy, ‘real skin’ effect whilst smoothing texture, fine lines, and pores. This refreshing mist sets makeup and prolongs its hold, providing instant mattification via an ultra-fine mist. Infused with aloe vera to soothe and hydrate, the lightweight formula will help you to maintain that ‘just applied’ look all day/night long. 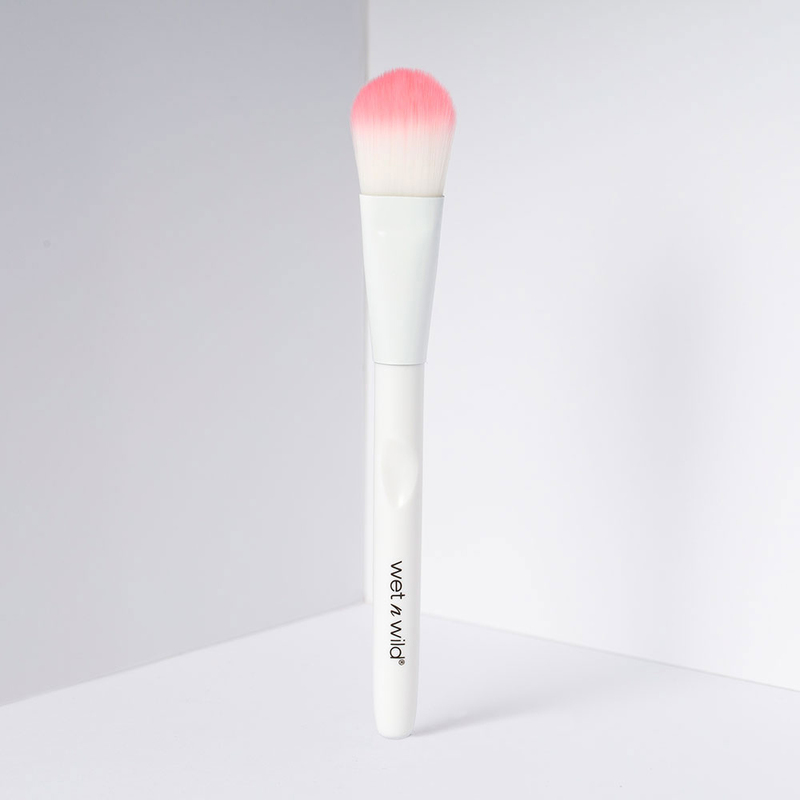 This flat foundation brush has smooth, densely-packed synthetic bristles (perfect for applying cream and liquid foundations) to ensure your base makeup applies streak-free. 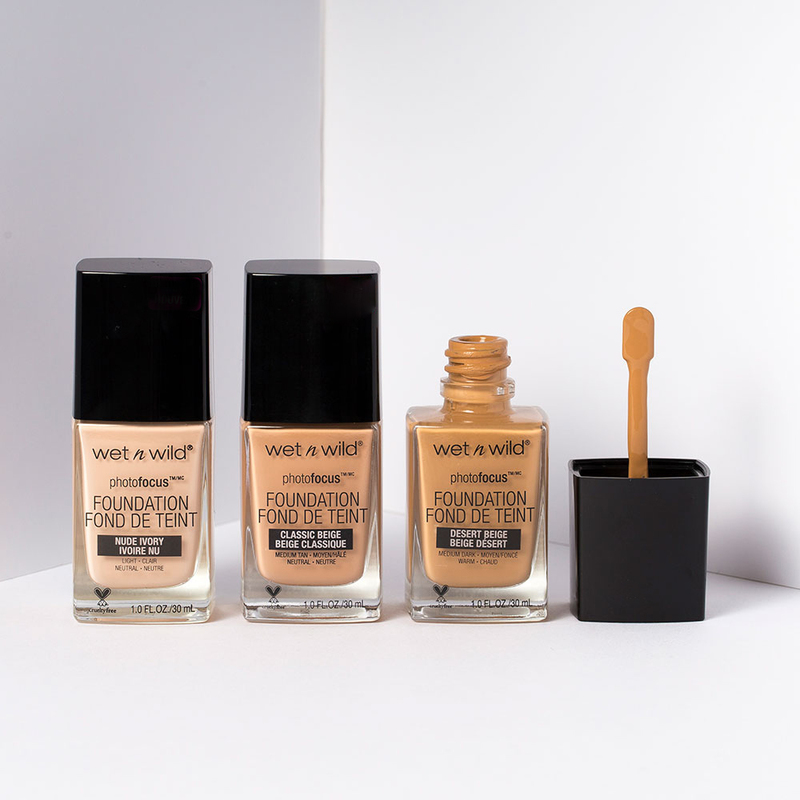 It works a treat for both light wash of foundation and a full coverage finish. Base products are the biggest culprit when it comes to creating a white cast on the skin in photos. Formulated to look good in every lighting situation – with and without flash, every product in the Photo Focus range has been vigorously tested under 7 light conditions and with top smartphone models.